Spain – Norway free picks and betting preview! 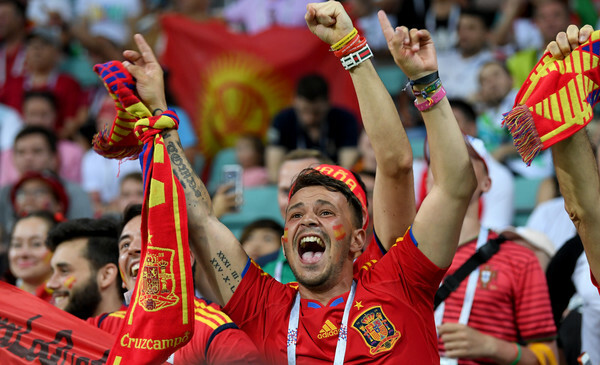 Betting tips Spain vs Norway – Iberians start qualifying campaign at Euro 2020 with a match on “Mestalla” in Valencia, Norway company. The same group F also includes Romania, Sweden, Malta and the Faroe Islands. Spain disappointed in the last two games in the League of Nations, losing both England and Croatia. However, the group finished second in the European Football Championship. Interestingly, he played very open, the average of goals being nearly 5 per match. Meanwhile, he has played a friendly match with Bosnia Herzegovina, testing several new players. Coach Luis Enrique has a lot with most LaLiga players, the only “strangers” being Arrizabalaga, De Gea and Juan Bernat. The skeleton of the team is made up of players from Barcelona and Real Madrid, while Atletico Madrid has only Rodri and Alvaro Morata. Norway has won a group with Bulgaria, Cyprus and Slovenia in the League of Nations, managing to promote in League B. This time he meets an opponent of a completely different caliber in front of which he will have real problems. As a comparison, in preliminary precedents he had Germany as a favorite of the group and in the away match gave away 0-6! The Lars Lagerback Lot is a thin one with players coming from medium or small teams in the European Championships. The team captain is Stefan Johansen from West Bromwich Albion and the main marker is Joshua King from Bournemouth. Betting verdict: over 3,5 goals odd is 2.30 –Bet online HERE – the best odds! ← England v Czech Republic free picks and betting preview!